The Washington Post on Thursday published portions of classified transcripts of combative phone calls President Trump had earlier this year with the leaders of Mexico and Australia. The transcripts portray acrimonious conversations between Trump and Mexican President Enrique Peña Nieto and Australian Prime Minister Malcolm Turnbull, largely on the issues of immigration, border wall funding and refugees. The release of the transcripts is likely to anger Trump for two reasons. First, the transcript of the phone call with Peña Nieto shows that Trump views construction of the border wall more as a political necessity than as a security issue. Trump has also fumed about sensitive leaks coming from his administration, which he sees as an attempt to undermine his presidency. Last week, Trump publicly criticized Attorney General Jeff Sessions for not doing enough to find and punish the leakers. There is no indication in the Post report of who leaked the call transcripts. But the newspaper notes that read-outs, which are compiled from notes taken during the phone calls, are often shared among White House staff and policymakers. In his Jan. 27 call with Peña Nieto, Trump pressured the Mexican president to stop contradicting him about funding for the wall that Trump says he wants to build at the U.S.-Mexico border. 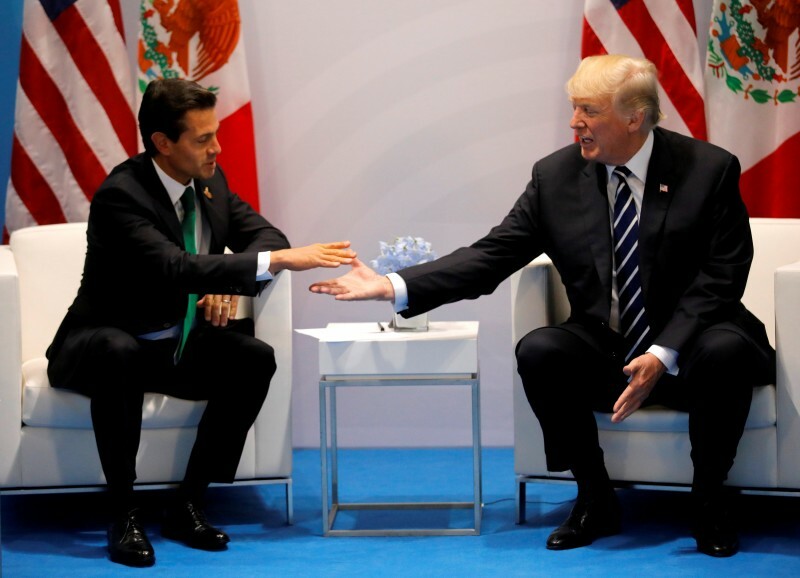 Trump suggested that both he and Peña Nieto should issue vague remarks about who will pay for the wall. “But you cannot say that to the press. The press is going to go with that, and I cannot live with that,” Trump responded. Trump also indicated that his talk of the border wall was a political ploy. Trump’s conversation with Turnbull was even more combative, the call transcript shows. Trump and Turnbull disagreed over an agreement made by President Obama to accept refugees from Australian detention centers operating in Papua New Guinea. The Obama administration had agreed to take in 1,250 refugees as part of a humanitarian aid deal with the UN. But Trump said he opposed the deal, and expressed concerns that some of the refugees would become terrorists down the road. “This is going to kill me,” Trump told Turnbull, according to The Post. “I am the world’s greatest person that does not want to let people into the country. And now I am agreeing to take 2,000 people,” he added, inflating the number of refugees being allowed into the U.S.
Turnbull attempted to appeal to Trump’s experience as a businessman. Turnbull attempted to salvage the conversation, but Trump ended the call in frustration.